I made an anniversary card using only stickers; no stamping involved. The pretty flower stickers are from Jolee. They have several layers of dark pink and green vellum and glitter in the center. The sentiment sticker is from 'Be Mine' from DCWV. It came with a dimensional so I could pop it up from the card base. 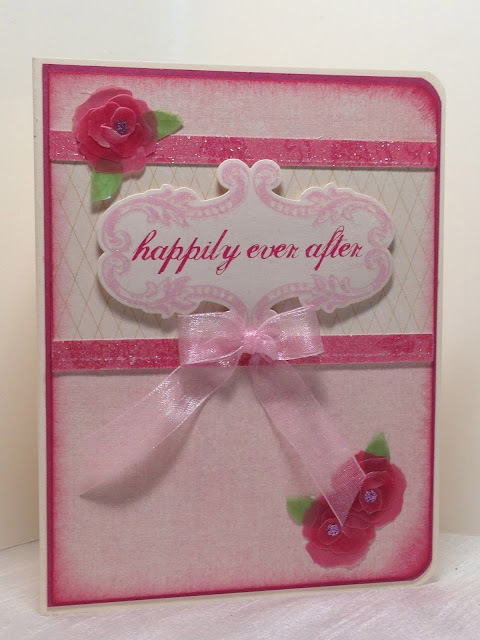 All the designer paper, including the glitter borders, are from the DCWV 'Be Mine' Stack. 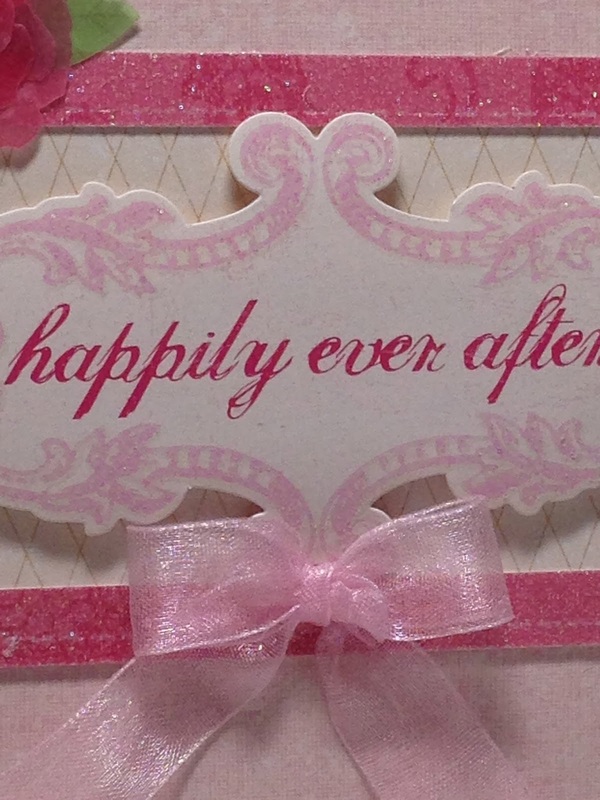 I inked the edges of the designer paper with Rose Red ink, and glued it to Rose Red card stock and a Cream card base. 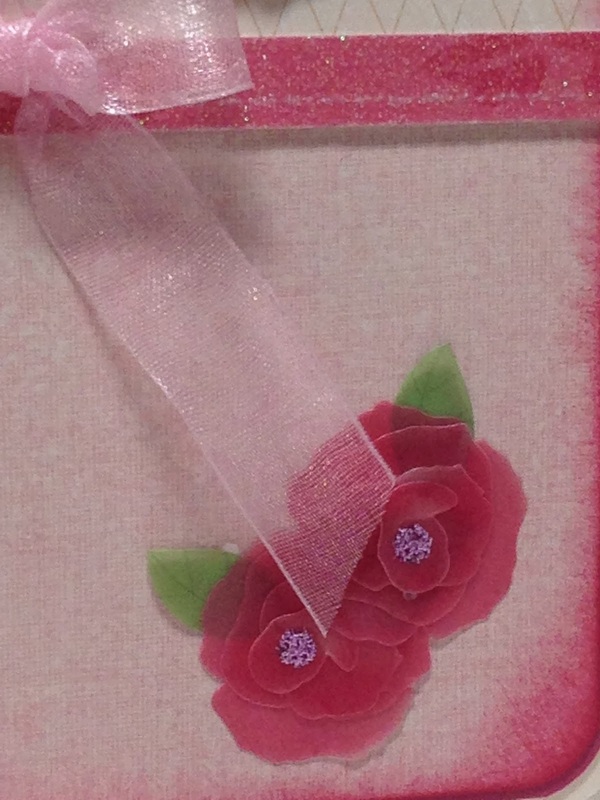 I added a little organza pink ribbon for embellishment. 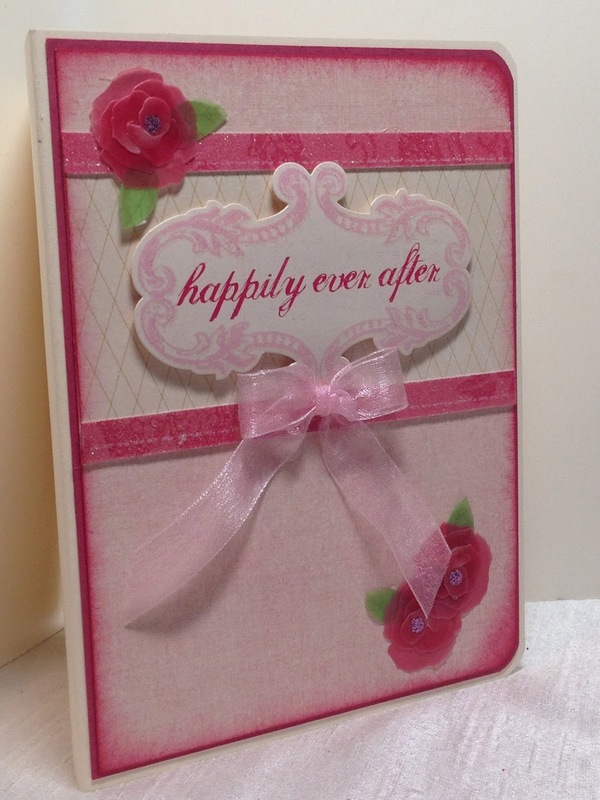 What a beautiful card, Amy! The pink is so sweet! Thanks for sharing!